They say good comedy is all about timing. That’s all well and good for live comedy, but what happens when you’re shooting a Hollywood blockbuster comedy? Take after take resulting in hundreds of shots and scenes in no particular order. Just footage. What’s missing? Timing. And the reality in the industry today is that good comedy films are created in post production, with extremely sophisticated VFX playing a bigger role than ever in helping create that critical timing that drives the site gag, the perfect entrance on the scene, the line delivery, and the actors’ reactions. And the most amazing part is, the audience never knows! Scott Davids runs Level 256 (http://www.level256vfx.com), a rapidly growing Los Angeles based VFX shop that has earned a reputation for taking on any VFX challenge, no matter how big, no matter how vexing, and turn it around quickly and with amazing results. Imagineer Systems recently spoke with Scott to talk about not only the incredible growth at Level 256, but also about the caliber of work that’s been keeping them so busy the past year. To say Level 256 is busy is putting mildly; in the past year alone, this powerhouse shop has cranked out the VFX on some of Hollywood’s funniest blockbuster comedy hits with such marquee titles as Little Fockers, Cedar Rapids, I Love You Man, Hot Tub Time Machine, and Bridemaids, which opens nationwide this weekend. And some common threads through all of these hit movies? 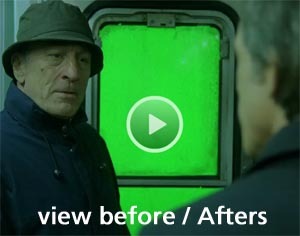 Complex visual effects that includes tracking, removal/replacement and roto. And to do it all in a way that helps Level 256 live up to their reputation of fast, quality results: they rely on mocha from Imagineer Systems. “We’re a small company and we do a lot of invisible work, specifically, they kind of VFX that people never realize are there, but it’s the kind of work that can bog artists down for weeks. mocha has helped us tremendously, enabling us to do lightning fast work, which is critical when you realize how important post production is to the comedic timing of these films. Comedies have become a scientific process. Often we’re working with long cuts, running them over and over, testing the timing of the jokes and site gags. We’re constantly swapping out gags, adjusting the timing, the content, the actors, until we figure out the right jokes for the scene. And when you’re relying on VFX software to help you keep up, you quickly realize the value of a tool like mocha. 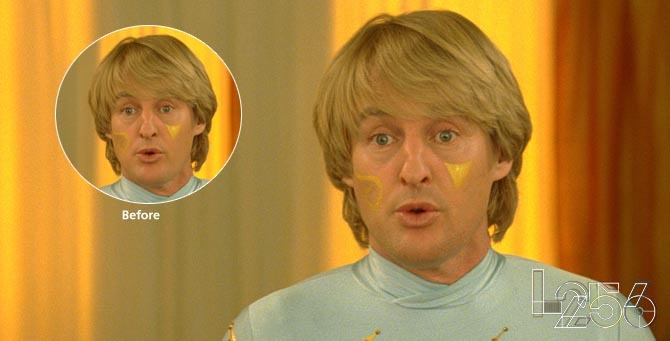 Most comedies aren’t traditional VFX-laden movies. But they each have literally hundreds of shots that need VFX touches. In Bridesmaids, we had over 260 shots where we had to test the comedic timing. We were pulling people out of different takes to make the jokes work better. It was amazing, and tedious at the same time. In Hot Tub Time Machine, we had shots where we had to cut out each actor individually and put them back into the scene one at a time. Normally, a shot like that would take days, if not more than a week. With mocha, we did it in a few hours. In one instance, the director wasn’t happy with one of the actor’s appearance in a shot, but it was too late to re-shoot. Using mocha, we literally pulled off what we called the Frankenstein shot; We took the head from one take, the chest from another, and the hands from yet another take and reassembled and tracked each part – all usingmocha. But I think my favorite ‘development’ we had to deal with was in Little Fockers. Owen Wilson decided to shave halfway through production! The whole first half of the film shows Owen with a shadow – not quite a full beard, but enough of a shadow that was not only clearly visible, but also part of his character’s look. 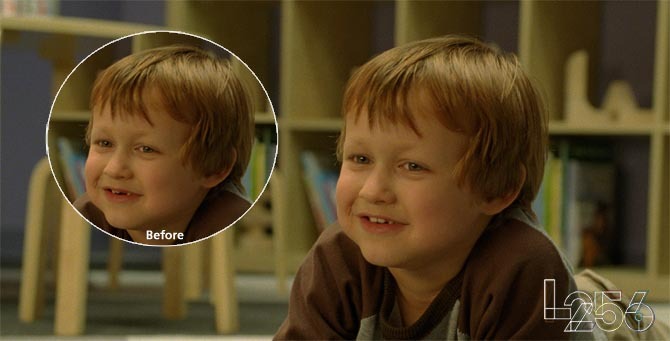 Using a combination of tools, we created digital stubble, and using mocha, literally placed and tracked Own Wilson’s facial stubble through the remainder of the film! These are the kinds of shots that most VFX artists would say ‘no way,’ but with mocha, they’re a snap, we don’t even blink. mocha has become such an integral part of everything we do here at Level 256. Like I said earlier, we’re a small shop, but mocha has a direct impact on our ability to work as quickly as we do and therefore compete with the larger shops. And since we’re small, nimble and innovative, Level 256 is able to act more like a department within the studios – part of their team – rather than as an outside vendor. We work closely with the client from the start, right from the planning process, because, with mocha in our tool kit, we know what can and can’t be done. We also know that, since mocha talks to all the key platforms, that we can quickly deliver content from mocha into their editing apps, and back again if we need to make more changes. We don’t impede the process, we enhance it. Andmocha helps us bring that level of value to our clients. We couldn’t do what we do without mocha! Level 256’s latest comedic VFX artistry will debut this weekend, with the nationwide premiere of Bridesmaids. For more information on Level 256, and to see more examples of their work, please visit www.level256vfx.com.